House sales in Ireland dropped sharply in early 2008 but there were signs of price increases and more sales in 2014 and 2015 . This year – 2016 might see some further recovery – but higher prices, especially in Dublin, will not be seen as a good thing by first time buyers. In the Irish property boom many people used mortgage brokers to apply for mortgages. There were many stories of income figures being “adjusted” and imaginary lodgers invented in order to get bigger mortgages. No one worried because they assumed that house prices would go on rising! 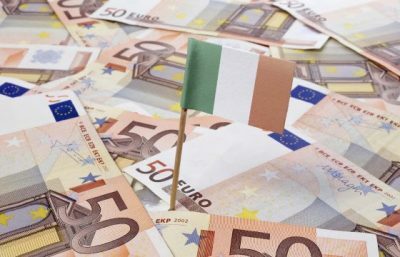 The number of mortgage lenders operating in Ireland has been cut – now just the following banks are taking applications for mortgages – but the criteria are stricter than they were. : Allied Irish Bank ; Bank of Ireland, PTSB, Ulster Bank , KBC. 100% mortgages are now impossible to obtain in Ireland – most lenders will not lend any more than 90% of the house value now. Tracker mortgages have been withdrawn for all new customers by all lenders. Tax relief on Mortgage Interest payments is no longer given to first time Buyers in Ireland – it was stopped in Jan 2013. More about Mortgage Tax Relief here.